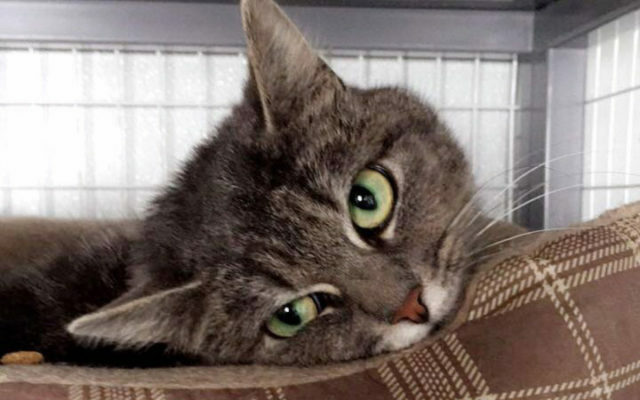 PAWS Animal Welfare Shelter presents Toni as the Pet of the Week. PAWS Animal Welfare Shelter presents Toni as the Pet of the Week. Toni is shy at first but loves to snuggle and loves attention. A quiet home with love and patience would be the best for her. Having lived the lonely street life, she is cautious of strangers, but enjoys being petted in her kennel. Toni is spayed, up to date on her vaccinations and cleared of any parasites. To her, please visit Valley Cat Haven during open hours Saturdays from 11 a.m. to 1 p.m., Tuesdays 1 p.m. to 3 p.m. or call Jean at (207) 543-7348 for an appointment.